Roberts Stream 94i review | What Hi-Fi? Roberts’ Stream 93i radio has won a What Hi-Fi? Award four years running – so how do you improve on something that’s clearly the best in its category? The answer is carefully and conservatively. Roberts has only made a few small changes for its replacement, the Stream 94i, including the addition of Bluetooth – the only significant thing we felt was missing from its predecessor. 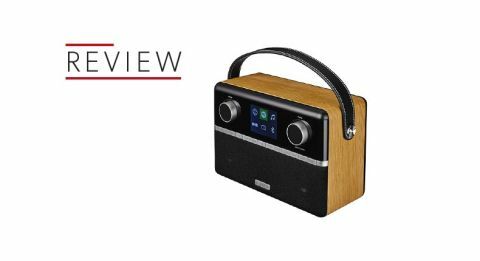 With that feature and a snappier new design, the Roberts radio sets the bar even higher. As well as its Bluetooth connection, the Stream 94i has a whole host of ways in which it plays audio. While these new modifications are welcome, we’re pleased to hear that Roberts has maintained the sound quality of the 93i. That’s possibly because the ‘subwoofer’ at the back of the unit and the two smaller drivers on the front have remained unchanged. We start by playing Dua Lipa’s New Rules through Spotify Connect, and the attention to detail this radio pays to the midrange is laudable. The Stream 94i manages to convey the lyrics’ almost deliberately monontonous character without ever making it sound dull or disinterested. As she hits the high notes, there is never any sense of stress or harshness. While a focus on vocals is a vital aspect of any audio experience, it’s especially important for a primarily speech-based platform like radio. As such, the warmth and balance from the Stream 94i is pleasing – we could listen to chat-heavy stations like BBC Radio 4 for hours on end without wanting to switch. Change to something more complex, such as Kanye West’s Black Skinhead through the Bluetooth connection and this radio strikes you with a suitably aggressive rendition. The relentless, punchy drums and intimidating panting that kicks the track into action reach forward and grab you, before the Stream 94i comfortably delivers West’s attitude-laden vocals. Happily, these characteristics remain no matter what input you’re using. Ending our test with a DAB broadcast of Mozart’s Piano Concerto No. 21 In C Major – a stiff test of any hi-fi’s dynamism – this radio doesn’t let us down. From the smooth clarinets to the energetic, rapid movements of the strings, this radio has a confident handling of dynamics, and a suitably iron fist when it comes to keeping each instrument distinct from each other.